Wait more stories about hiking in Maine? 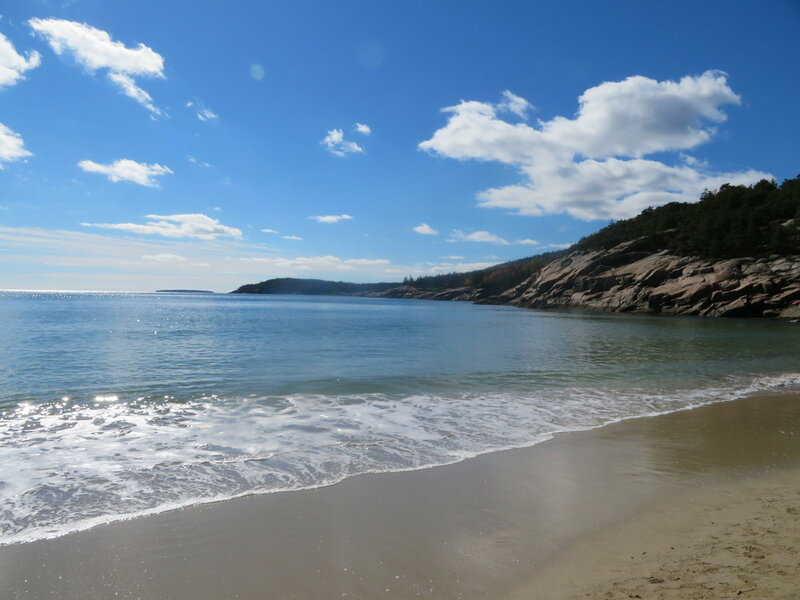 Okay I wrote about adventures in Acadia National Park again: trust me it’s worth it! 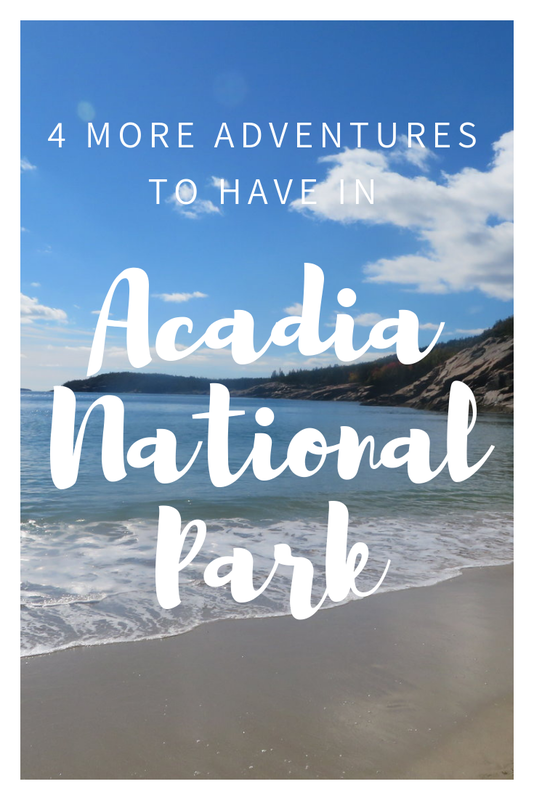 If you haven’t read part one about my four favorite adventures in Acadia National Park you can do so HERE. My recent trip to this beautiful National Park in Maine made me realize that there are many more adventure opportunities that await you in this epic park. If you are like me and enjoy your return visit to a place more than the original then this one is for you! I wanted to share with you my new recent findings to add to the list for you. Whether you are on your first or tenth trip to Acadia! Since this is part two (as so chosen by me) of a blog I’m going to number these To Do’s five through eight. Readjust as you must! 5. The Sand Beach Region. Yes it’s loaded with parked cars and wandering humans. Yet can you argue with epic shots like the one below? Nothing can compare to a photographer’s excitement with a clear view of the Atlantic Ocean from Mount Desert Island looking out on a clear day. Who cares about how far you have to walk down a rock when you are rewarded with views out to the ocean like this? You can throw in a summit to Gorham Mountain or wander down to Thunder Hole but the point of the matter is don’t skip this crowded one way driving/biking trail region of the park. These two mountain passes will give you the chance to scale two of seven peaks in Acadia located over 1,000 feet high. It might not seem like much to a native Colorodian but for Maine (especially coming from sea level) you are going to a high ascent. Pemetic Mountain has several different ways to summit and our friend over at Citrus Milo honestly gives the most detailed and safe ways to the top. I took the South Ridge route with a summit to Triad through the trail leading from Jordan Pond and it was honestly one of the finer mountains I have scaled in my life. You get to work for it but you also know your body won’t ache for days as a result of it. There are several great treks to the top but do your research first; some are a tad dicey! Atop the South Ridge of Pemetic Mountain. 7. Take in a MDI (Mount Desert Island) Local Activity! Whether it is cheering on the runners of the MDI Marathon like we did when we happened to be in town for the race or eating at a local lobster house like Lunts Gateway make sure you connect with the people and culture of Mount Desert Island and the surrounding towns and villages of Coastal Maine. It’s beautiful and not to be missed. You be the judge of what it is and how you prefer to spend your time but either way you won’t regret having fun with the folks of MDI! As I sat there one night in our bed I looked at all the other adventures another trip to Maine could hold for us. From a hike up to the end of the Appalachian Trail to an 85 mile off-road bike trail to possibly tracking Stephen King’s inspiration for the eerily written book Misery. It doesn’t matter what your heart’s calling is; just follow it. And for me hiking is one of my main joints and Maine is one of the most amazing places to do experience it. I need a good place to rest after a day of hiking and adventure activities. Our spot here just a few miles from Acadia was perfect for what we wanted to do and was peaceful at night and a great place to rest. It was a great name to boot! Our cabin name at the Bay Meadow Cottages just outside Acadia. For another visit to Acadia I felt another compelling reason to share a list that is based on no merit other than my own personal opinions. I guess that’s why Amy and I started this website though; so we could do just exactly that! If you haven’t been to Acadia or to Maine in general I highly recommend you do. It’s a wonderful place and by the time you finish reading this or my original blog HERE hopefully you have four adventures to add to the list! Sign up for the emails. Just do it! And thanks for being a part of your travel crew.